Macroinvertebrate is a long name for a small creature. Macro usually means large, but in this case it means large in comparison with some other tiny organisms. An invertebrate is an organism that does not have a spine. A macroinvertebrate is visible to the naked eye. If you could only see the creature with a microscope, it would be called a microinvertebrate. 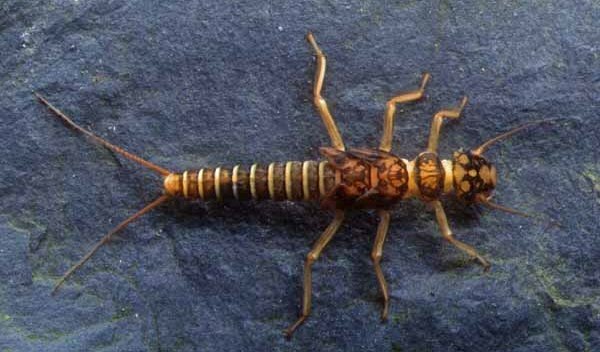 Flatworms, crayfish, snails, clams, and insects, such as dragonflies, are all macroinvertebrates. Dragonflies along with mayflies, damselflies, and other insects spend the beginning part of their lives as nymphs or larvae in water. Sometimes we call them water bugs. They become flying insects as adults. Aquatic macroinvertebrates play an important role in measuring the health of the water they live in. They are often called indicator species. Some macroinvertebrate species are much more tolerant of polluted water than others. Black fly and midge fly larva can live in water that is not the cleanest. Dragonfly nymphs are somewhat tolerant to dirty water as are clams and crayfish. Mayfly and stonefly nymphs do not like to live in dirty water at all. When scientists do biological testing in a stream, they look for many different species of macroinvertebrates. 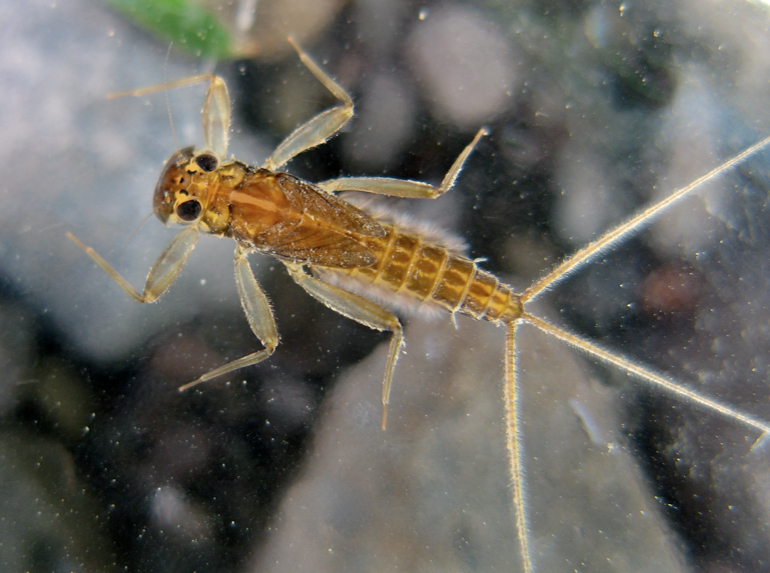 If they find mayfly or stonefly nymphs, it signals or indicates that the water is clean. A clam or crayfish in the creek means the water is medium clean. If only riffle beetle larvae are found, the water may be polluted. All of the different kinds of macroinvertebrates would be found in clean water. Scientists count the numbers and kinds of different species and determine the quality of the water. If biological testing shows a poor quality of water in a stream, other testing may need to be done to determine the cause. The goal is always to make our water stay as clean as possible. 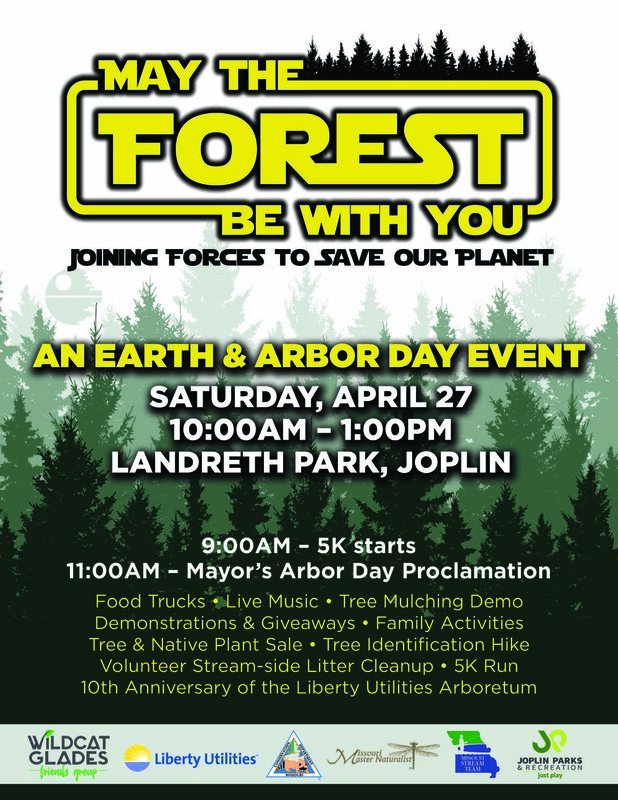 by Bonnie Hinman - Bonnie Hinman is a member of the Chert Glade Chapter of Missouri Master Naturalists. She is also a Missouri Stream Team Volunteer.